Hand Held Steamers | Most Compact IN THE WORLD! SALAV Hand Held Steamers are the best travel steamers on the market. These powerful compact garment steamers are built with the latest SALAV patented steam technology, from worldwide automatic voltage adjustment to SALAV dry heat steam. 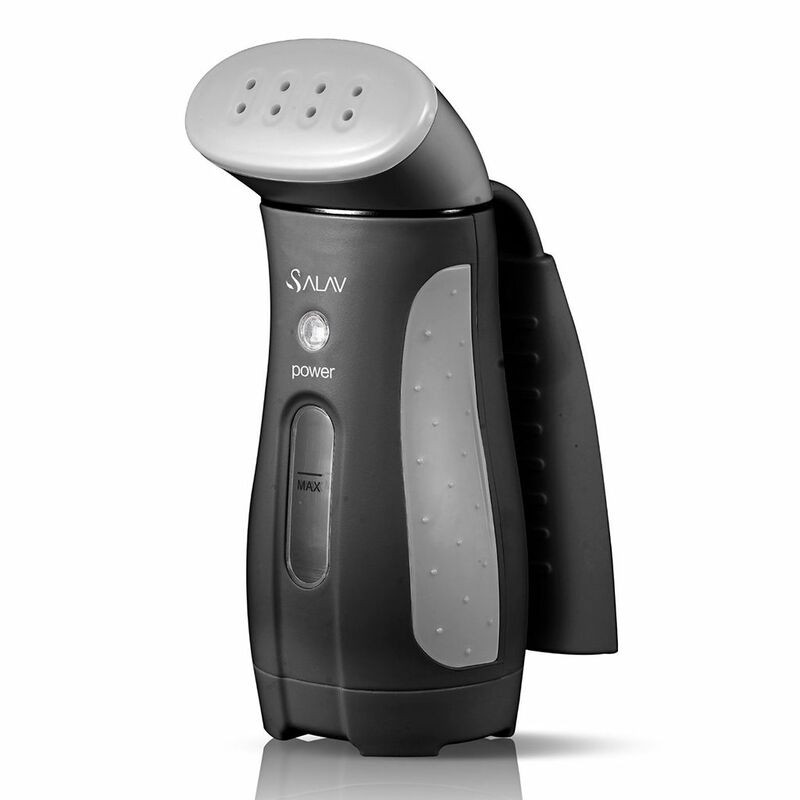 SALAV hand held steamers are compact, powerful and feature packed, making them perfect for travel or home. SALAV HS-100 DUOPRESS Hand Held Garment Steamer is both a garment steamer and iron. Built with our latest Dual Core heating technology, the garment steamer can steam garments with 1150 watts of powerful steam, then press garments with a 3 inch ceramic coated ironing plate which reaches 300 degrees. This unique hand held steamer can be used horizontally or vertically, without spilling. Includes a fabric brush attachment and storage bag. Available in rose gold/white, gray/white. SALAV TS-01 Travel Hand Held Garment Steamer is our #1 best selling, highly rated garment steamer. Featuring worldwide automatic voltage adjustment and weighing just one pound, the TS-01 is the most compact and portable hand steamer in the market. A 2-in-1 measuring cup and handle make it convenient to use at home or on the go. Available in 6 exciting colors: Black, Red, Blue, Pink, Green, Gray. 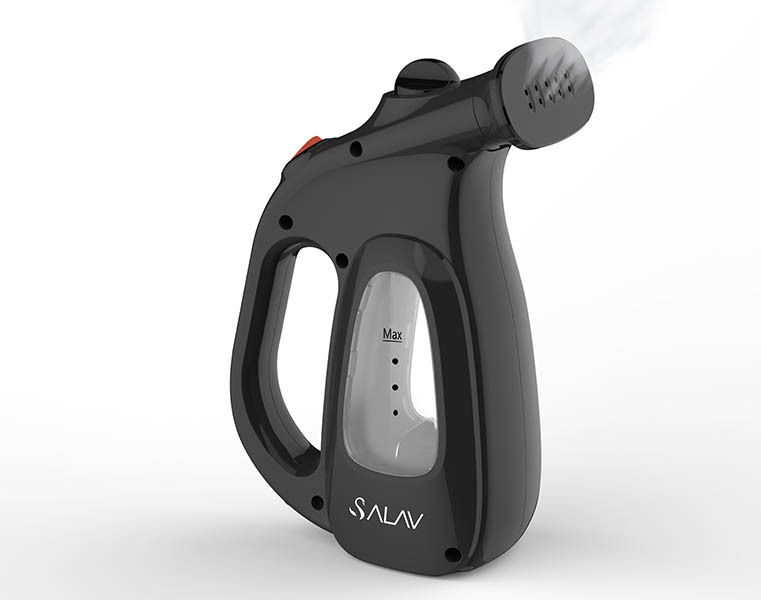 SALAV HS-04/T QuickSteam Hand Held Steamer is our fastest unit yet! It heats up in a Quick 35 seconds and provides 1000 watts of powerful, natural drip-free steam from our SALAV patented heaters. 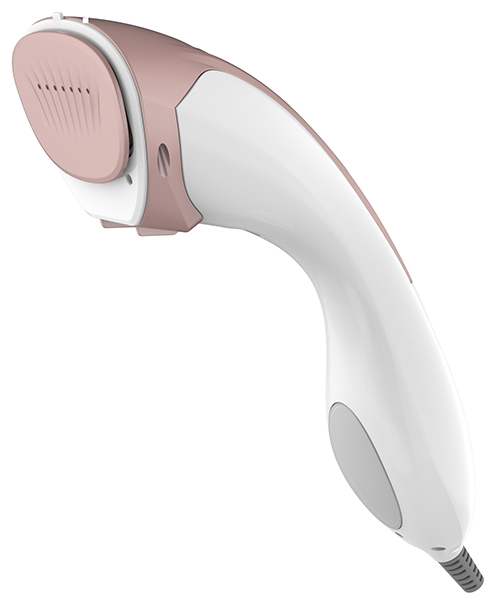 The ergonomically designed body and lightweight design make it a great household garment hand steamer. Each unit includes a fabric brush attachment. Available in gray. 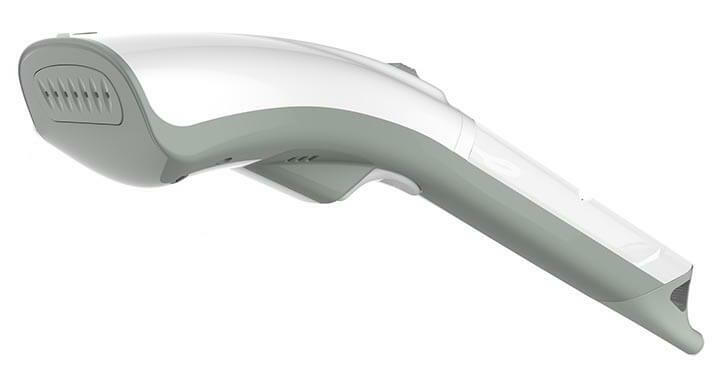 SALAV TS-06 Hand Held Steamer is our compact and powerful! It provides 600 watts of powerful, natural steam. Simple and easy to use, it has a power button on the top of the steamer for easy control. Each unit includes a measuring cup and fabric brush attachment. Available in Black.